First rule of fight club…I mean… the first rule of drinking scotch… there are no rules for drinking scotch. You drink it how you like it. With water, neat, on the rocks, in a mix. Let no one tell you how to drink your wares. Saying that though, there are techniques for tasting scotch which will help you find more flavors and aromas and help you to better experience the scotch. Google “how to taste scotch” and you’ll get over 14 million hits. Everyone has an opinion about how to taste. 10 steps, 5 steps, rinsing the glass with the scotch first and throwing it out on the carpet(get out your stain remover). Speaking to the scotch, introducing yourself and even chewing it. Developing your own method will allow you to enjoy your scotch the way you like it. 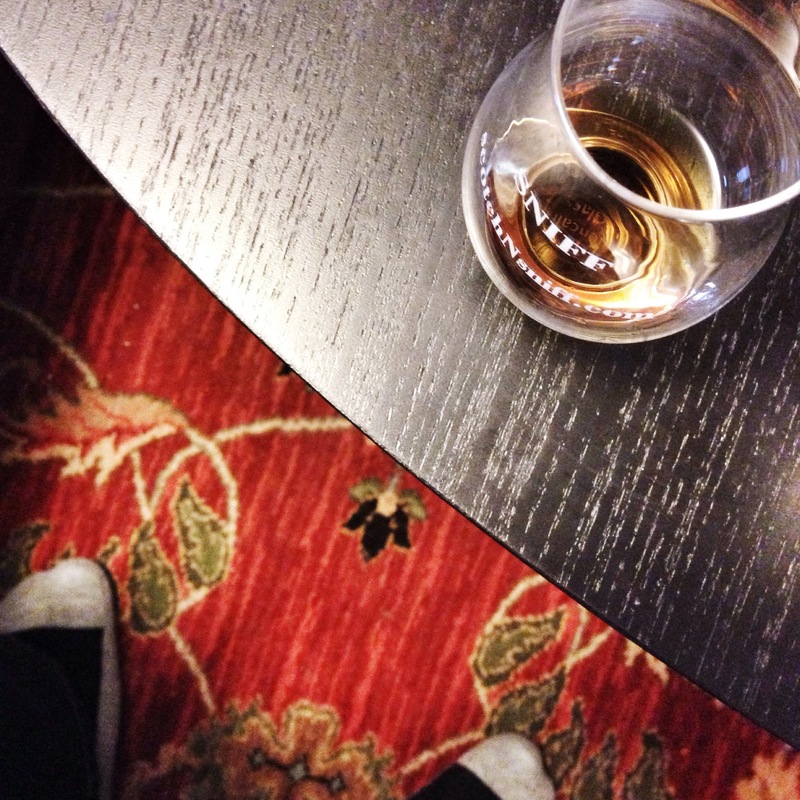 Choosing your Scotch(maybe we’ll write another long post about choosing your scotch): Single Malt (In picture form)? Blend? Scottish? Japanese? Sherried? Peaty? Sweet? Cost? Advanced vs Novice scotches? Or maybe choose something from one of the descriptive reviews that we have in our blog to start you off. Hibiki 12 year, The Glenfiddich 12 year and The Bunnahabhain 12 year are great introduction scotches we’ve reviewed. Choosing the right glass: A Glencairn glass and a Copita glass are specifically designed to concentrate the aromas into a tighter space and direct the smells into your nose. The bowl of these two glasses offer space for the scotch to be swirled, helping release the different aromas. If you don’t know how important nosing is, hit the link and read more. Color. What color does it look like to you? Be as descriptive as you want to be. Golden, pale honey, toasted barley with a light glint of auburn sunset. Just don’t say that it looks brown…they’re all kinda brownish. Nose. What does it smell like to you? After pouring yourself a small amount in the glass, lightly swirl the glass to move the scotch up the sides of the glass to increase the surface area of the liquid. This increased surface area with the slight agitation will make it easier to nose. Now don’t go jamming your nose down in the glass and inhaling really deeply. You’re liable to pass out depending on the alcohol content. Take light sniffs initially. Just like your muscles need a good stretch before pumping iron, your nose needs a couple light whiffs before going all in. What do you smell? Leather? Oak? Vanilla? Gasoline? If you don’t smell much of anything, take a deeper whiff. Stick your nose in the glass and find out what’s in the glass. Palate. Now that you’ve nosed the scotch, it’s time for the best part. Tasting! Slowly pour the golden nectar into your mouth BUT WAIT, DON’T SWALLOW YET! Let it roll around in your mouth, coating your tongue on all sides, even underneath. Think about how it’s affecting your taste buds. What do you taste? Fruit? Tobacco? Spice? Now swallow it down and breathe out. What do you taste now? Has the flavor changed? Did you find another flavor? Go write it down before you forget….We’ll wait for you. Scotch has a way of creeping up on you later on, even when you’re at work and you smell something. “OH THAT’S WHAT IT WAS!! My co-workers wife’s rum raisin bread!”, Nailed it. Finish. How long did the flavor last on your tongue? Are you still tasting it? Did it change while you were breathing in and out? Did it burn or was it smooth with no bite? The CNPF method is a chance for you to get to know the scotch and to explore what it’s made of and why the distillery wants you to drink it. If all scotch tasted the same it wouldn’t be fun to drink. Reading the back of some bottles might help guide you to look for certain aromas and flavors associated with it. Keep a journal. Write it down. This will help you reference what you liked and disliked. It will help you remember what flavors and aromas you found. Possibly help you compare different bottles and years from the same distillery. This is just one way to taste scotch. But the whole point is to go out and try some, and use this post as a guide. Get out there and grab yourself a Glenmorangie Nectar d’Or, a Dalmore 15 or even a Macallan Sienna and start tasting! Slainte Mhath(cheers in gaelic)! Pour an ounce in a tulip shaped glass. 2. Taste it for 30 seconds. Add a few drops of water and repeat steps 1-4!